After three days of testing by the European Space Operations Centre (ESOC), EUMETSAT now controls the newest polar-orbiting meteorological satellite, Metop-C, and has started flight operations of a constellation of three Metop satellites. ESOC started the Metop-C launch and early operations phase (LEOP) on November 7, immediately after the spacecraft separated from the launcher’s upper stage, and concluded it on November 10. The purpose of the LEOP was to ensure that the desired orbit was achieved, that the solar array and all antennas of the satellite were deployed and that all on-board systems required to support the mission were activated, properly configured and working correctly. Metop-C is expected to become fully operational in early spring 2019, as the third and primary satellite of the EUMETSAT Polar System (EPS). EUMETSAT Director of Operations and Services to Users, Livio Mastroddi, added that this successful handover means that the company can ow perform flight operations of a constellation of three Metop satellites, including Metop-C.
EUMETSAT Director-General Alain Ratier commented that, with Metop-A and Metop-B, the organization's EPS system is already the source of observations that has the highest positive impact on the accuracy of weather forecasts up to 10 days ahead. Studies show that this impact has socio-economic benefits of 5 billion euros per year to Europe, and this will certainly increase with a third satellite. 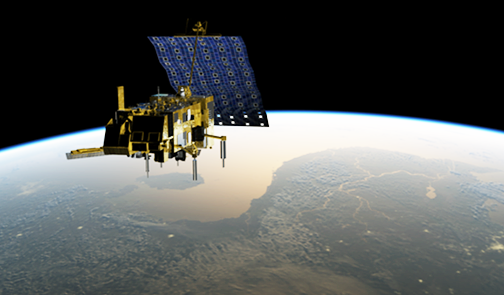 Metop-C will also secure the transition to the EPS-Second Generation system EUMETSAT is developing in cooperation with ESA and the plan is to launch the first Metop-Second Generation satellite at the end of 2022.